THURSDAY, March 9, 2017 (HealthDay News) -- "Gluten-free" may be the latest diet fad, but new research casts some doubt on its presumed health benefits. The findings do not prove that a low-gluten diet somehow contributes to diabetes. But the study raises questions about the long-term benefits of avoiding gluten, which many people assume to be a healthy move. Some people -- namely, those with the digestive disorder celiac disease -- do have to shun gluten, said lead researcher Geng Zong. But there is little research on whether other people stand to gain from going gluten-free, said Zong. He is a research fellow in nutrition at Harvard T.H. Chan School of Public Health, in Boston. That's a big evidence gap, according to Zong -- given the popularity and expense of gluten-free foods. Gluten is a protein found in grains such as wheat, rye and barley. 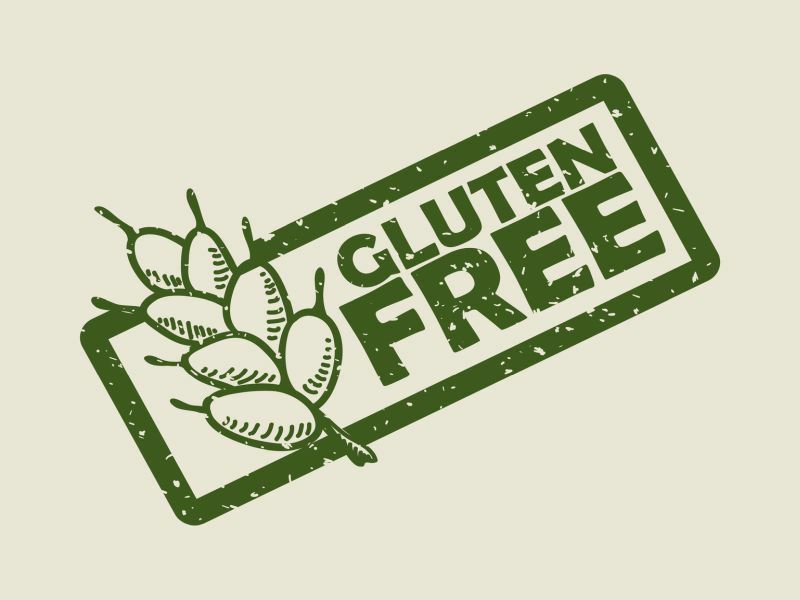 Gluten-free diets are a must for people with celiac disease -- an autoimmune disorder in which gluten-containing foods cause the immune system to attack the small intestine. But gluten-free, or at least gluten-light, diets have caught on as a way for anyone to lose weight and improve their health. One recent study found that the number of Americans who say they've gone gluten-free tripled between 2009 and 2014. The new findings are based on nearly 200,000 U.S. health professionals whose health and lifestyle habits were followed over three decades. The low-gluten fad did not exist when the study period began, in the 1980s, Zong pointed out. But participants' gluten intake naturally varied, based on how often they ate foods like bread, cereal and pasta. Over 30 years, just under 16,000 study participants developed type 2 diabetes -- a disease in which blood sugar levels are persistently too high. Obesity is one of the major risk factors. When Zong's team looked at people's gluten intake, the investigators found study participants who ate the least of it actually had a somewhat higher risk of developing diabetes over time. Most people consumed no more than 12 grams of gluten each day, with the average being 6 to 7 grams. Those in the top 20 percent for gluten intake were 13 percent less likely to develop type 2 diabetes, versus those in the bottom 20 percent -- who typically ate fewer than 4 grams of gluten each day, the findings showed. Zong's team did try to account for other factors, including people's exercise habits, weight, typical calorie intake and family history of diabetes. However, lower gluten intake was still tied to a higher type 2 diabetes risk. Zong was scheduled to present the findings Thursday at a meeting of the American Heart Association, in Portland, Ore. The study does not prove that limiting gluten somehow causes diabetes, according to Lauri Wright, a spokeswoman for the Academy of Nutrition and Dietetics. Even though the researchers weighed other factors, she said it's still possible that people at heightened risk of diabetes tried to avoid the types of food that often contain gluten. Wright, who was not involved in the study, is also director of the doctorate in clinical nutrition program at the University of North Florida, in Jacksonville. The bottom line, according to Wright, is this: Unless you have celiac disease, focusing on the quality of your carbohydrates -- rather than gluten avoidance -- is the way to go. Wright advised eating vegetables, fruit and fiber-rich whole grains, as opposed to refined carbohydrates. "But be aware of the portion sizes, and be careful about what you add," Wright said. Cream sauces and butter, she noted, are examples of "additions" that can thwart your good intentions. One concern with going low-gluten is that it could cut out major sources of dietary fiber -- which, research suggests, helps ward off type 2 diabetes and other chronic ills. In this study, people with low gluten intakes did eat less grain-based fiber. And that seemed to partly account for their higher diabetes risk, Zong said. He agreed that it's important to focus on eating a range of nutrient-rich whole foods, rather than obsessing over gluten. SOURCES: Geng Zong, Ph.D., research fellow, department of nutrition, Harvard T.H. Chan School of Public Health, Boston; Lauri Wright, Ph.D., R.D.N., spokesperson, Academy of Nutrition and Dietetics, and director, doctorate in clinical nutrition program, University of North Florida, Jacksonville; March 9, 2017 presentation, American Heart Association Epidemiology and Prevention/Lifestyle and Cardiometabolic Health 2017 Scientific Sessions, Portland, Ore.